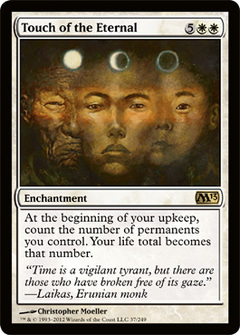 Rhox Faithmender ($4.98) Price History from major stores - M13 - MTGPrice.com Values for Ebay, Amazon and hobby stores! 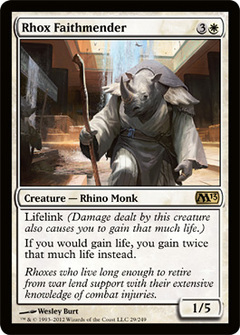 Card Text: Lifelink (Damage dealt by this creature also causes you to gain that much life.) If you would gain life, you gain twice that much life instead. 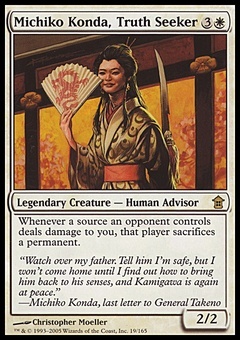 Flavor Text: Rhoxes who live long enough to retire from war lend support with their extensive knowledge of combat injuries.